Are You Dreaming of a Wedding in the Caribbean? Planning a destination wedding in the Caribbean can be both exciting and challenging, that's why we've gathered all the details, information, tips and tricks to help you make all the right decisions. 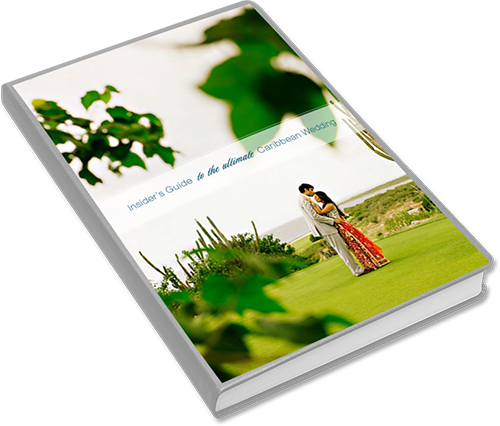 • There are specific legalities when getting married in the Caribbean? • You can easily add "local flair" for a truly unique wedding? • You should pass along special packing tips for your guests? • It can be tricky to plan from afar? This Insider's Guide to the Ultimate Caribbean Wedding, prepared by experienced wedding professionals, is designed to help you plan a (nearly!) stress free event that you and your guests will remember for years to come. Ready to plan the wedding of your dreams? Download The Insider's Guide NOW. "I am SO excited I found this guide! I never knew planning a destination wedding involved so many logistics. The information provided has helped me to get more organized and prepared than I ever could have done on my own.